Jewellery is the perfect gift to give to a special friend. It can be an acknowledgement of support, loyalty and a celebration of years of friendship, or simply a birthday gift. Jewellery gifts can hold a special meaning forever. Here at Gift And Wrap we’ve got a lovely selection of friendship jewellery which you and your best friend can enjoy together. If your best friend has a PANDORA bracelet, there’s endless jewellery pieces you can treat her to as an exceptional addition to her bracelet. 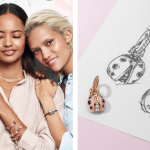 Treat her to a symbol of your friendship with a stunning PANDORA Murano glass charm in her favourite colour with multifaceted sides for extra sparkles, or choose a delicate wild flower inspired glass charm. For girls who are all about the glitz and glamour, we love the PANDORA Pave charms which feature hand-set stones of cubic zirconia in the prettiest of designs and colours. Friendship bracelets were a rite of passage during school times, and you can easily recreate that feeling of togetherness with matching charms as a sign of your friendship. You could also treat a friend to a lovely friendship charm from PANDORA with an accompanying infinity, lucky clover and love heart symbol. 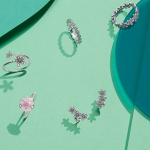 We have a wonderful range of floral inspired jewellery from popular jewellery brand Daisy London which feature delicate daisy flowers as their trademark. A daisy is such a classic symbol for spring and summer, and this brand have plenty of whimsical and feminine pieces which are completely endearing in their designs. The Daisy London earrings selection would be a good place to look for a unique gift for a friend. From their signature daisy studs, to cute bumble bees, birds, and elephants, their charming earrings come in sterling silver and 18ct rose gold for a contemporary touch. Rose gold jewellery is extremely popular right now, and if it’s a trend she’s yet to get on board with, you can be the one to introduce her with a Daisy London rose gold piece of jewellery! Why not treat her to the matching necklace which features the intricate symbol and a Daisy London initial pendant on a delicate chain bracelet, which she can wear alone or style with other bracelets. Jewellery brand Kit Heath offers modern sterling silver jewellery in exclusive designs inspired by life, love and the beauty of nature. We love the beautiful lotus flower earrings and matching necklace which displays a luxurious combination of rose gold with sterling silver. 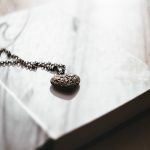 The Kit Heath range here at Gift And Wrap features smooth, sophisticated metals and unique jewellery designs, so you’re bound to find something that will catch your eye as a gift option. Celebrate her special birthday occasion by treating her to a pair of PANDORA earrings or a PANDORA ring. The ring can be personalised further by opting for a Droplet Birthstone Ring which displays the colour of the birthstone for each month, set in a simple sterling silver band. For a coordinated look, why not get the matching birthstone earrings so she can wear both together? Everyone loves a personalised gift which incorporates their name. So to further personalise her gift browse the collection of PANDORA letter charms which you can choose their first initial from. She can cherish the intricate openwork and timeless combination of sterling silver and sleek cubic zirconia with the PANDORA vintage letter charms, or perhaps a sparkling pendant charm with her initial would suit her personality more. These letter charms make such a flawless birthday gift. We hope that you’ve gained some jewellery gift inspiration for your friend. 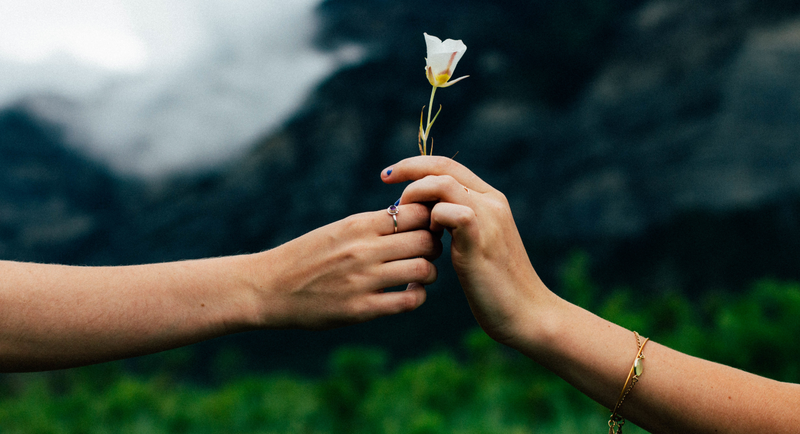 Whether it’s for a birthday or a ‘just because’ present, it’s always pleasurable giving a beautiful gift that they’re able to treasure for ever. 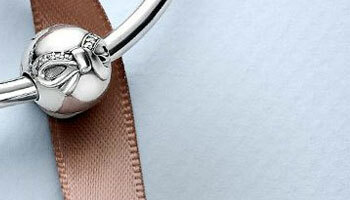 As certified PANDORA stockists, Gift And Wrap has an excellent range of PANDORA jewellery to choose from. We also stock several other jewellery brands for even more stylish jewellery options, such as Kit Heath and Daisy London. From necklaces to bracelets, and rings to earrings, there’s so much on offer at Gift And Wrap online. Now the only difficulty is choosing the gift itself!